Demon possession is real and exorcism is biblical. Rev. Dr. Robert H. Bennett, author of the books ‘I Am Not Afraid: Demon Possession and Spiritual Warfare’ and ‘Afraid: Demon Possession and Spiritual Warfare in America’ discusses the reality of the unseen war that rages around us and why Christians in some parts of Africa have a better understanding of it than those of us in the West. GET BOTH OF DR. BENNET’S BREAKTHROUGH BOOKS AND WE’LL INCLUDE CRIS PUTNAM’S IMPORTANT WORK FREE! 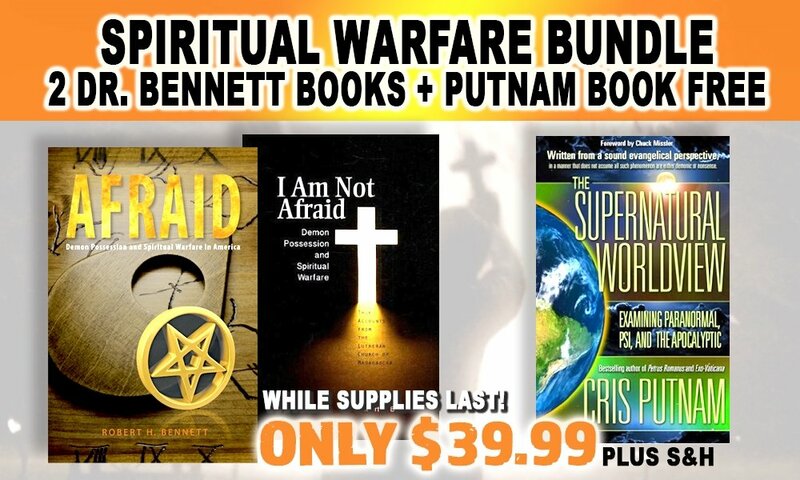 GET BOTH OF DR. BENNET'S BREAKTHROUGH BOOKS AND WE'LL INCLUDE CRIS PUTNAM'S IMPORTANT WORK FREE!